Axiom’s EDC/DM Solutions are be deployed as part of a validated system that complies with FDA 21 CFR 11 compliance for electronic record and signature use. Axiom Data Capture Tools have been developed in accordance with the requirements identified in the FDA’s 21 CFR Part 11 and Guidance for Industry: Computerized Systems Used in Clinical Trials. In addition, our solutions comply with ICH Good Clinical Practice guidelines. Specific Good Clinical Practice (GCP) arenas include US Regulations such as 21 CFR Parts 312 and 812 as well as EU Directive 2005/28/EC and ICH E6. Axiom Data Capture Tools are validated per guidelines set for Software Validation provided by the FDA. Validation of the systems includes verification of the deployed application, functionality and case report form testing for reliability, accuracy and consistency with defined user requirements. Axiom implements rigorous testing procedures to ensure that each client project is validated to project specifications. Axiom makes it a core priority to ensure that our products and procedures comply with industry standards and guidance. User access is limited to authorized individuals. Each user is designated a role to determine the level of access granted within the system. System access is protected by using user IDs and passwords and by limiting access based on the privileges accorded to the user logging into the system. SAN Tiered Drives, Hosting Fail-Over, Live Back-Ups. 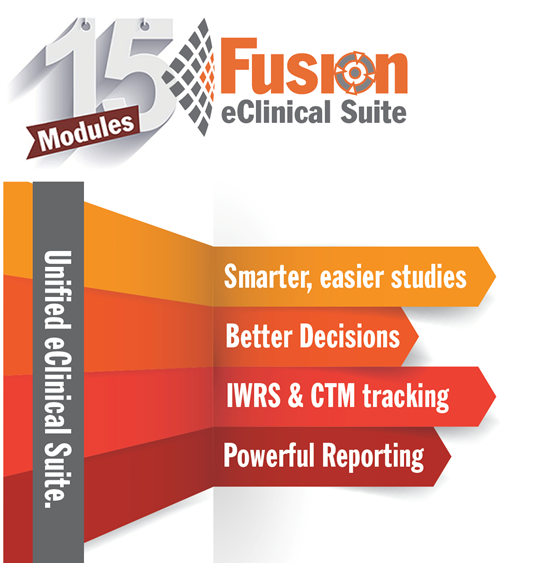 Fusion has an inline audit trail for all activity within the system. Audit trails are extractable in report format on demand. Axiom’s platform is hosted in 24/7, Tier 1 Secure Facilities with Redundant Backup on both the East and West coasts, as well as in Europe and Asia. In providing world-class EDC services to collect clinical data for clinical trials or registries, quality assurance and validation procedures of our software, services and associated client installations, are paramount. Axiom constantly focuses on ensuring that quality assurance and validation procedures are adhered to by all personnel. All client installations are rigorously tested prior to activating client access to ensure they meet Axiom’s standards. All Axiom software applications are thoroughly tested after each deployment to ensure that they function within desired parameters. Axiom maintains stringent quality assurance/validation standards through documented operating procedures, regular monitoring by senior management, and distinct implementation and quality assurance teams. Axiom maintains a rigorous training program that every team member is regularly involved in. Every new team member is actively trained on all areas of responsibility, supported by ongoing follow-up training as SOPs/services are updated and enhanced. Training records are maintained for all Axiom Team Members. All training is documented upon completion in the training record files. Axiom’s EDC products, services and operating procedures have been regularly audited by a variety of clients and business partners. Axiom has met or exceeded all audit requirements with only minor selected SOP enhancements or recommendations. Axiom continuously works on process improvements and regularly incorporates client or audit feedback into these efforts.